Etsy artist, Kozue, is amazing! If you send her a photo, she'll turn it into a drawing. 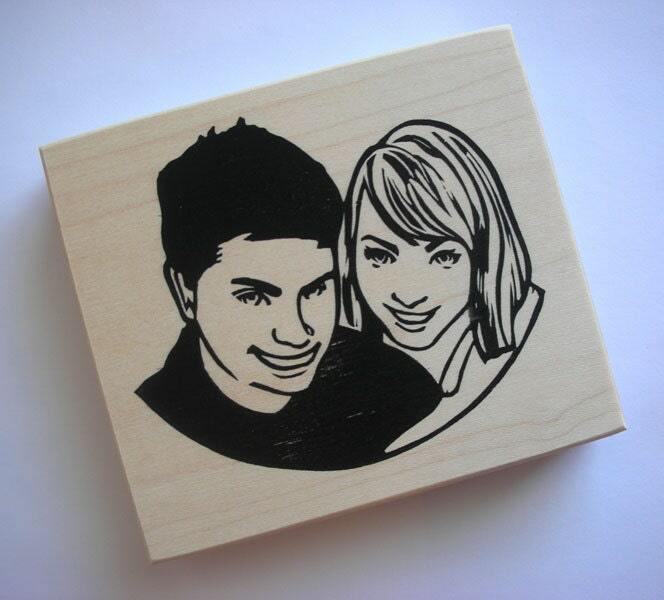 After you approve the drawing, she'll hand carve the image and turn it into a stamp. 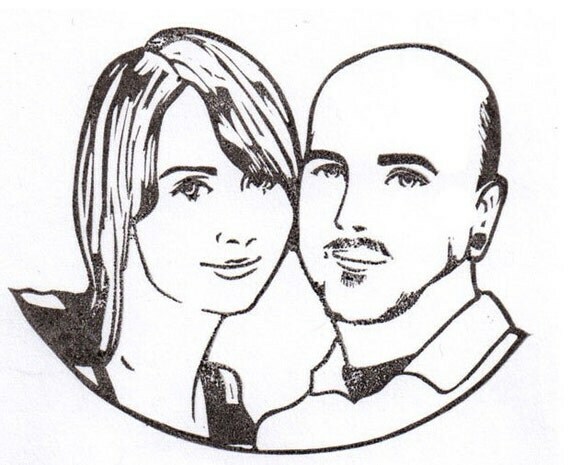 They are perfect for wedding announcements, invitations, and thank you cards! We swoon over wedding details like this. 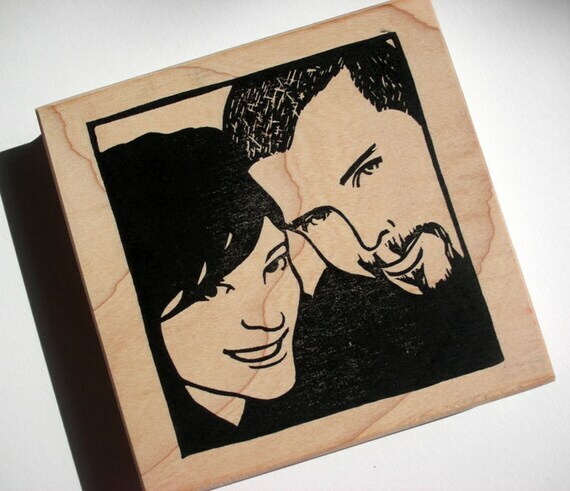 How will you personalize your wedding? Beyond amazing, and what a steal! I feel like every time I turn around (especially on Ruche)I see another thing that I would incorporate into my hypothetical-wedding-redo. I want to marry my husband a million times just so I can plan a million weddings!